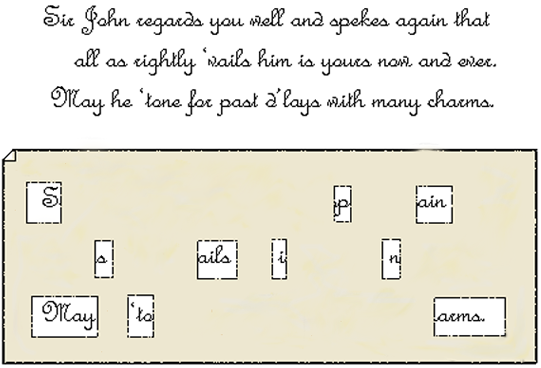 One of the most exciting elements of the TURN premiere is the debut of 18th century spycraft in the form of a shiny copper grille used by Abraham Woodhull to decipher a secret message hidden within a British letter. Not only is it a dramatic signal of Abraham’s decision to become involved in intelligence gathering — it’s also an authentic, documented method of spycraft used during the American Revolution! When executed successfully, the “dummy” or cover message would be unremarkable enough to avoid raising suspicion that a secret message was contained within it. A letter authored by a British or Continental officer full of broken or awkward sentences would almost certainly be scrutinized for secret meanings if intercepted by the enemy. Even then, it’d be nearly impossible to discern the secret message without possessing the matching grille, which makes the Cardan system a fairly secure one. You need both pieces in order to decipher the real message. The system was not without its weaknesses, however. 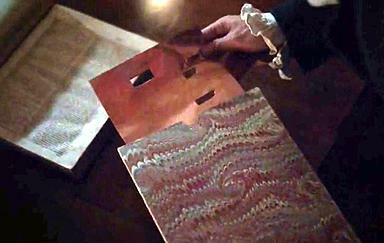 The presence of the grille itself is almost guaranteed to arouse suspicion – as we see in the pilot episode when Abraham pulls the copper grille out of its envelope. Only after discovering the grille does he look around for something to match it with. (For that matter, the grilles were usually stiff paper or cardboard, and not shiny copper sheets that would attract attention and be more difficult to conceal. Paper grilles are much easier to create, and can be folded or rolled up for easier transport.) Abraham was also pretty fortunate to have discovered the correct orientation of the grille on the first try – since there are four possible ways to position a rectangular grille like the one we saw in the show. There’s a slight chance that the reader might take away an incorrect message if they position the grille incorrectly. Some people expand the definition of the “Cardan system” to include all shapes and forms of message masks, but Cardano’s original method used rectangular cutouts exclusively. Sir Henry Clinton — the British general who appointed John André as his Chief of Intelligence — used numerous Cardan grilles and message masks in both personal and official correspondence, even as early as 1776. Many of them still survive in the Clinton Papers which are housed at the University of Michigan’s Clements Library. The contents of that collection strongly suggest that we’ll see other variations of “masked” messages in future episodes of TURN — so I won’t discuss those just yet. The Cardan Grille system is one of several 18th century methods of spycraft referenced in the TURN opening credits. During the Revolutionary War, the Americans preferred other forms of cryptography (secret writing) over grilles and masks. The Cardan Grille system is more accurately described as a form of steganography: a specific subset of cryptography that involves concealing a secret message within a larger, unrelated message. So there’s no denying it — some forms of 18th century spycraft are still alive and well today. I’m definitely hoping to see more excellent examples embedded into tonight’s new episode of TURN. Stay tuned for another “First Impressions” post after the debut of Episode 2, and don’t forget to follow @spycurious on Twitter for some live tweets during the show! This entry was posted in Spycraft and tagged Abraham Woodhull, amc turn, american revolution, cardan grille, cardan system, culper spy ring, henry clinton, spycraft, TURN, turn amc, turnpremiere, washington's spies. 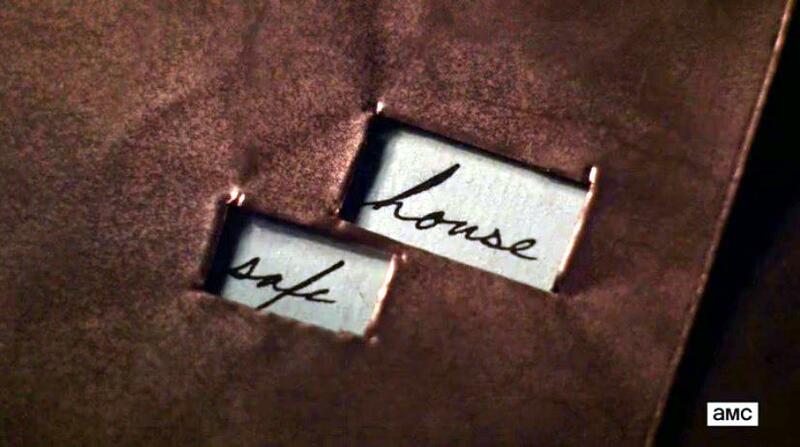 This was one aspect of the Pilot episode that I enjoyed, as short as it was. It was accurate *and* educational. If the series shows more intellectual intrigue and spy-work like this, and much less soap opera style drama and “love triangle” nonsense, I should like to see more episodes.